You're going to love the compliments you'll be receiving after using RevitaLash for a few weeks. “Your lashes are sooo long!” and “Your eyes are looking amazing” will become a very common experience. RevitaLash is a breakthrough cosmetic formula which transforms lacklustre lashes into a beautiful asset you'll soon consider your best feature. Non-irritating. Doesn’t sting. Safe for sensitive eyes. Ditch the fake eyelashes and find out why RevitaLash is trusted by millions world wide and by so many delighted Beauty Lounge customers! I have noticed longer lashes, though I’m comparing this to lilash and think lilash might be better value, hence just 4 stars. I heard about this product from a girl that I work with. I had just removed my eyelash extensions and my eyes felt completely bare so I gave this a shot and couldn’t be happier. My eyelashes were already fairly long but I can notice that they’re even longer and fuller now. I get complimented on them quite frequently now. Keep in mind that it doesn’t work over night. It takes a good 4-6 weeks before you notice the difference but persevere. It’s worth it. I purchased this product after having eyelash extensions that had ruined my natural lashes, I wanted to grow back my natural lashes and looked at so many reviews on eyelash serums across youtube and saw that alot of people had great results from using this. I’ve been using this for about 8-10 weeks and my lashes have grown back fuller and longer, and I’m also seeing new growth of lashes which I’m really excited about. I would definitely recommend trying this product as with patience comes results. Does everything it says it does! My lashes are longer and thicker, even darker – really don’t need to use mascara any more. Best product ever. This stuff is great! It really works so definitely recommend. This is the only beauty product I spend money on that makes a NOTICEABLE difference!!! Can totally not live without it now!! Really like this my lashes are so long! 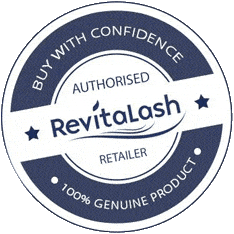 We've been selling RevitaLash longer than any other online retailer in New Zealand and have always sold product sourced from the authorised New Zealand distributor. We're proud to be New Zealand's leading retailer of RevitaLash. We use this experience to provide you with the best advice and service. We know RevitaLash works - we've seen the results in thousands of delighted Beauty Lounge customers. We're so confident RevitaLash will give you amazing results, if you don't see results within 90 days send it back for a full refund! What Kind Of Results Can I Expect From RevitaLash? With over 6 years of experience helping women grow their eyelashes, we've seen some remarkable transformations. It's difficult to describe the confidence boost our ladies have seen with their beautiful long, natural eyelashes. Let us give you a typical example of the results you'll achieve with an eyelash conditioner like RevitaLash. Erica started out with very short, stubby eyelashes (sorry Erica!). Tired of paying for expensive and time consuming eyelash extensions, we recommended Erica try an eyelash conditioner. By week 6, Erica was enjoying more length in her eyelashes than she had ever dreamed of. After only 12 weeks, Erica was sporting these beauties. Notice not only how much longer they are, but the natural curl and darkness. Who needs fake eyelashes when you've got the real thing? 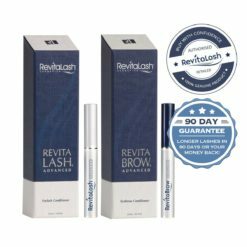 Michael Brinkenhoff, M.D, an ophthalmologist for over 30 years, fostered the initial success of the company based on one remarkable product, RevitaLash® Eyelash Conditioner. 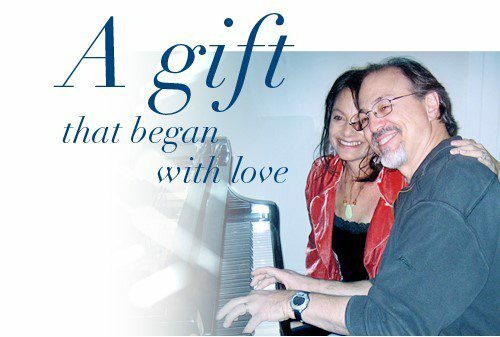 The original concept was developed as a special gift to meet the personal needs of his beautiful wife Gayle while she was recovering from metastatic breast cancer treatments. Gayle’s once-beautiful eyelashes had become dull, brittle, and lifeless. 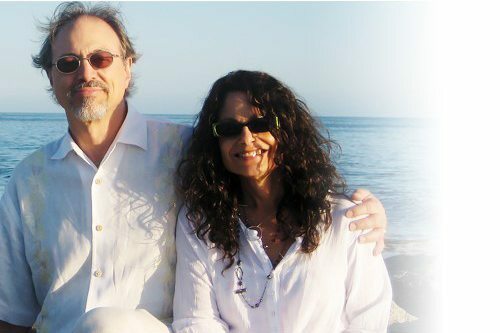 Dr. Brinkenhoff believed he could find a way to give Gayle‘s eyelashes the look of renewed health, strength, and beauty – thus RevitaLash® was born. The immediate success of RevitaLash® Eyelash Conditioner sparked a desire by the husband and wife duo to innovate, create and deliver a collection of trusted cosmetic products that could help meet the aspirations of others seeking to enhance their natural beauty, build their confidence and feel revitalized. company remains devoted to its heritage and the pursuit of natural beauty today and for years to come. Philanthropic endeavours remain at the heart of Athena Cosmetics, including direct financial support for breast cancer research and educational initiatives. This is all made possible by your continued support of their company and the RevitaLash products. One brush stroke is sufficient to cover eyelashes. Only a small quantity is needed to beautify and promote the attractiveness of natural lashes. For best results, use consistently. Be sure to let RevitaLash® Advanced dry before applying make-up. If using make-up remover, be sure to wash off all residue prior to RevitaLash® Advanced application. There is no added benefit to using RevitaLash® Advanced more than once per day. What if I forget to apply RevitaLash? For best results, we recommend that RevitaLash® is applied once a day. However, if you forget to apply RevitaLash, simply apply the product the next day. A consistent routine is the key to better results. Will RevitaLash help to curl my eyelashes? 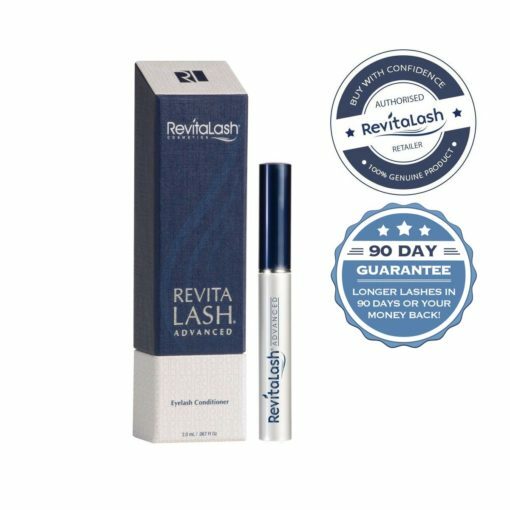 Many of our customers have noticed that, after using RevitaLash® Advanced, their eyelashes show a significantly more “youthful” curl. 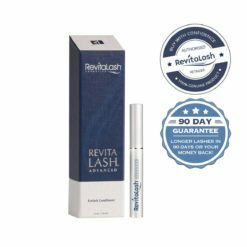 There are many ways in which the RevitaLash® Advanced formula improves the appearance, beauty and attractiveness of your natural eyelashes. How long do I have to use RevitaLash? You will begin to see more beautiful lashes immediately. With your first tube of RevitaLash® Advanced, we are confident you will reach your goal of having more beautiful, attractive eyelashes. In order to maintain the natural beauty of your eyelashes, we recommend that you continue to use RevitaLash® Advanced at least 2 to 3 days per week. How long does a tube of RevitaLash last? When used as directed, one tube of RevitaLash® Advanced (3.5 mL) lasts approximately 6 months. The expiration date for RevitaLash® Advanced is one year upon opening and two years if unopened. RevitaLash 2.0 will last approximately 3 months. Yes. RevitaLash® Advanced improves the attractiveness of both women and men’s natural eyelashes. What should I do if I get RevitaLash in my eyes? Because RevitaLash® Advanced is used around the eyes; we have taken care to formulate our product with ingredients that have excellent safety profiles. In addition, our tests have shown that the formula for RevitaLash® Advanced is a “no-drip” product containing a thickener to ensure that when applied as directed, RevitaLash® Advanced does not get into the eyes. However, if a small quantity of RevitaLash® Advanced accidentally gets into your eye, we recommend that you lightly splash a little tap water in the eye in order to dilute and rinse away the RevitaLash® Advanced. As a helpful reminder, we recommend that you be careful not to over-saturate the RevitaLash® Advanced application brush. Remember that you only need to apply a small quantity of RevitaLash® daily to enhance the beauty and attractiveness of your natural eyelashes. Can I wear mascara after applying RevitaLash? When used as directed, RevitaLash® Advanced should not interfere with mascara use. However, if you use multiple cosmetic eye products, it is important to thoroughly clean your skin to avoid clogged pores that can cause skin irritation. Can I use RevitaLash while wearing eyelash extensions? When used as directed, RevitaLash® Advanced is safe for use with eyelash extensions or false eyelashes. Can I use RevitaLash if I wear contact lenses? 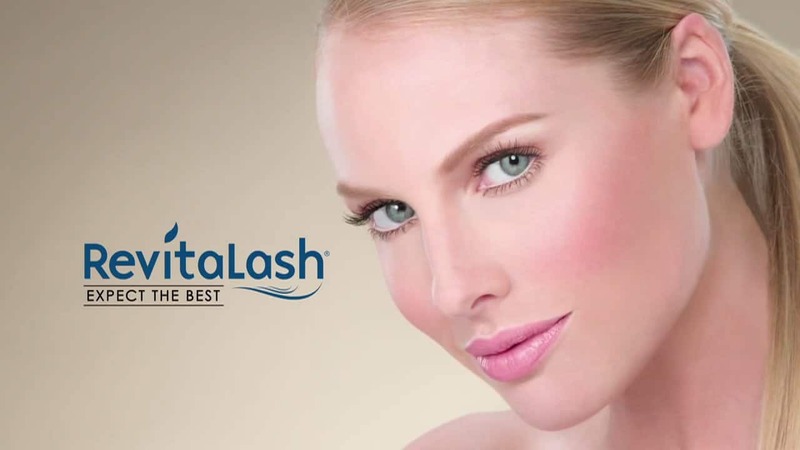 RevitaLash® Advanced has been formulated as a “no-drip” product containing a thickener that means that when used as directed, RevitaLash® Advanced does not get into the eye and should be safe to use with contact lenses. If a small quantity of RevitaLash® Advanced does get into your eye, we recommend that you remove and carefully rinse your contact lens; and that you lightly splash a little tap water in the eye in order to dilute and rinse away the RevitaLash® Advanced before replacing the contact lens. RevitaBrow® Advanced is a product which we have specially formulated for the beautification of your natural eyebrows. RevitaBrow® Advanced has a custom-designed applicator to make eyebrow beautification simple and precise. 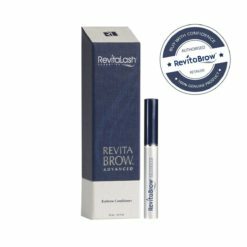 Apply RevitaBrow® Advanced directly to your eyebrows in the area where you desire your eyebrows to appear more attractive and beautiful. What are the ingredients in RevitaLash? Developed by an ophthalmologist, the formula for RevitaLash® Advanced Eyelash Conditioner is composed of a number of cosmetic ingredients, all of which are listed on the side of the box and on the package insert. 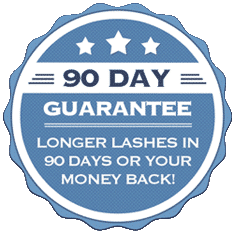 The ingredients are combined in specific proportions to create a formula that contributes to the improved attractiveness, appearance, and beauty of your natural eyelashes. All of the products in the RevitaLash® product line have been tested and have excellent safety profiles. Periodically, Athena may make changes to the formula of one or more of its products in order to improve their intended use of promoting attractiveness, improving appearance, and enhancing beauty. If, for some reason, you do not have the box for your RevitaLash® Advanced, the ingredients are as follows: Water/Aqua/EAU, Serenoa Serrulata Fruit Extract, Panax Ginseng Root Extract, Dechloro Dihydroxy Difluoro Ethylcloprostenolamide, Biotin, Carmellia Oleifera Leaf Extract, Swertia Japonica Extract, Biotinyl Tripeptide-1, Octapeptide-2, Calendula Officinalis Flower Extract, Triticum Vulgare (Wheat) Protein, Phenoxyethanol, Chlorphenesin, Glycerin, Cellulose Gum, Butylene Glycol, Pentylene Glycol, Phosphoric Acid, Disodium Phosphate. One of the ingredients in RevitaLash Advanced is Dechloro Dihydroxy Difluoro Ethylcloprostenolamide (DDDE). DDDE is a prostaglandin analogue. Prostaglandins are a large family of lipid compounds that are naturally present in almost all tissues in the body. Prostaglandins have a short half-life and act locally before being inactivated and excreted. Prostaglandins are very different from hormones, which are secreted by glands, transported by the blood stream and act on distant cells. DDDE is not a hormone. DDDE acts locally to condition hair where it is applied. Like all of the products in the RevitaLash Cosmetics line, RevitaLash Advanced has been clinically tested and has an excellent safety profile. Is RevitaLash tested on animals or include ingredients derived from animals? The safety of RevitaLash® Advanced has been demonstrated in multiple studies conducted by independent research laboratories. RevitaLash® Advanced has been shown in these tests to be safe to the skin and to eyes in adult study subjects. 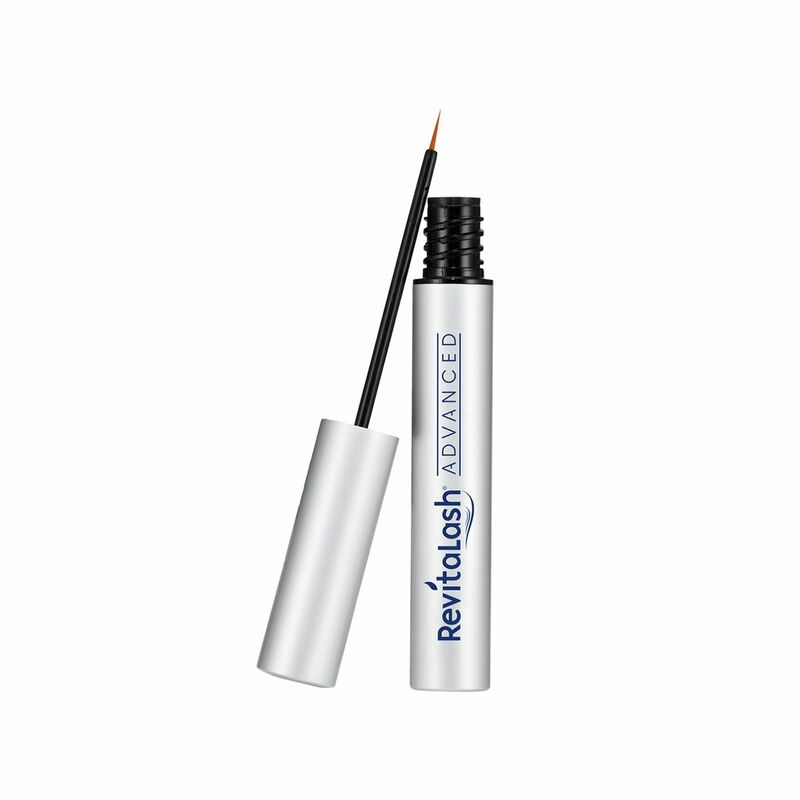 RevitaLash® Advanced was formulated to stay where it is applied and not drip into the eye. A study conducted by an independent ophthalmologist affiliated with UCLA’s School of Medicine confirmed that RevitaLash® Advanced does not get into the eye when applied as directed. This is important for two reasons. First, it means use of RevitaLash® Advanced is safe to eyes. Second, it means RevitaLash® Advanced cannot get into the blood stream, because the primary entry is through absorption by the surface of the eye. Two independent experts, one an ophthalmologist in London and the other a research scientist, have reviewed the safety tests of RevitaLash® Advanced and concluded that no appreciable amount of RevitaLash® Advanced is absorbed by the body. Based on these safety data and expert opinions, an independent ophthalmologist concluded there was no potential for RevitaLash® Advanced to have a significant effect on a fetus when used by a pregnant woman, or on a baby when used by a breastfeeding mother, or on a patient undergoing chemotherapy. Can I use Revitalash while undergoing – or after – chemotherapy treatment? The safety of RevitaLash® Advanced has been demonstrated in multiple studies conducted by independent research laboratories. RevitaLash® Advanced has been shown in these tests to be safe to the skin and to eyes in adult study subjects; however, none of the subjects in these studies was under 18 years of age. As a precaution, therefore, we recommend that RevitaLash® Advanced not be used by children under the age of 18. Biotin, green tea extract rich in panthenol, peptides, and lipids help condition and strengthen lashes while defending from breakage and brittleness. Plant extracts high in anti-oxidants and vitamin B; help protect and revitalise. High in fatty acids and plant sterols; help condition and shine. High in amino acids, peptides, and B vitamins; help fortify, smooth, and condition. We’ve compiled the following data from feedback from thousands of customers over 7 years of selling eyelash serums. Return rates are based on purchases made from The Beauty Lounge since November 2016. Our ratings based on overall customer feedback from over 7 years selling eyelash serums. Customer review figures as at February 2018.